We'll be revealing our 2020 membership program. Your visits can earn next years membership! Welcome to our second annual fundraiser for the Columbia Humane Society! $1 of each beer sale too! Hot Brown Sandwiches, Burgers, Melon Mint Salad, Pineapple Coleslaw, and Fresh Derby Pies! Luck of the Irish, did you know there’s a rare cup of gold in Columbia County. A brewery making and serving Mead on Tap. Come join us for Simply good drink food friends ! Kilts will be checked & judged by Maria. Hob Nob Leprechauns will be serving you and a few Irish table games are available. We are pleased to offer our FIRST Hob Nob wine Tasting evening! Enjoy one of new menu items while tasting very special wines from Don Carlo Vineyard. The Vineyard is located in the "Rocks District" of Milton Freewater, WA. Watch the Game on our Big Screen & Bar Screen! Pair it with our new Fantastic Seasonal Menu and BURGER Additions! We now have 18 Burger choices including Additional Bison and Impossible Burger choices! Fundraiser for Saint Helens HS Band Program, Admission includes: Dinner, Gangster Jail, Selfie Gangster Photo Booth, Raffles, Music by Jazz Band Musicians, Champagne. 30 ENTRIES WILL BE ACCEPTED. PLEASE CONTACT JOHN STERMER @ hobnob1.brew@gmail.com with your intended entry info. This competition is AHA/BJCP sanctioned and open to any Amateur homebrewer age 21 and over. ENTRY FEE: This is not including the bottles to be judged. 1 entry to the festival Will be your choice of these options: $30.00 per entry-CASH or Checks: Please make checks out to: Hob Nob Brew LLC. 5 gallons Bottled; 46-12 oz. or 25-22 oz. bottles. Bottles should be submitted in a partitioned cardboard box- The Host will make best attempt to prevent breakage and brewers may pick up bottles at the closing of the event. Beer Entries will be served by OLCC Permitted Servers Provided by HOB NOB BREW LLC and following the judging beginning at 3 PM. The Festival is Open to the Public age 21 and over. Admission Fee of $30.00- We will be promoting American Homebrewers Association and featuring your Beers and Oktoberfest foods. It will begin at 3PM same date. Servings will be in 4-6 oz Tasters and served until gone. Live Music & Foods for purchase will be onsite. PER OLCC RULES NO MONIES OR COMPENSATION WILL BE PAID TO ANY HOMEBREWERS FOR BEERS, CIDERS OR MEADS. The competition organizers are not responsible for miscategorized entries, mailed entries not received by entry deadline, or entries arrived damaged. The competition committee reserves the right to combine categories based on the numbers of entries. All possible effort will be made to combine similar styles. All brew in in combined categories will be judged according to the style they were originally entered in. Each entry shall provide three (3) 12 ounce bottles or two (2) 22 ounce bottle, except entries in the Cider and Mead categories which only require two (2) 12 Oz bottles. Must be attached with a rubber band, PLEASE no tape or glue. Entries that do not have this form will not be judged. All entries will be judged on an INDIVIDUAL BASIS-as to their style guidelines. Judging sheets will be mailed to all entrants and a list of winners will be posted on the EVENT premises and subsequently at the HOB NOB BREWHOUSE website after the event. PER ENTRANT LIMITS: Each entrant is limited to 1 entry per subcategory. PACKING & SHIPPING: Carefully pack your entries in a sturdy box. Line the inside of your carton with a plastic trash bag. Partition and pack each bottle with adequate packaging material (no packing peanuts ). Enclose each of your bottle labels in a small zip top bag before attaching to the respective bottle using a rubber band. if you live in the United States, Please note it is Illegal to ship entries via the United States Postal Service (USPS). Be aware that entries mailed internationally are often required by customs to have proper documentation. These entries may be opened and/or returned to the shipper by customs officials at their discretion. It is solely your responsibility to follow all applicable laws and regulations. AWARDS: The awards ceremony will take place upon the completion of Judging. PUBLIC ADMISSION starting at 3 PM. Parking and outdoor event area located in the back Parking Lots behind HOB NOB BREWHOUSE. 21 & Over ONLY, - $30.00 festival fee includes a tasting glass with Event logo, and Bracelets with 8 prepaid tastings.The Sponsors reserve the right to limit the number of persons admitted. Additional tastings will be $1.00 each on a tear off bracelet. 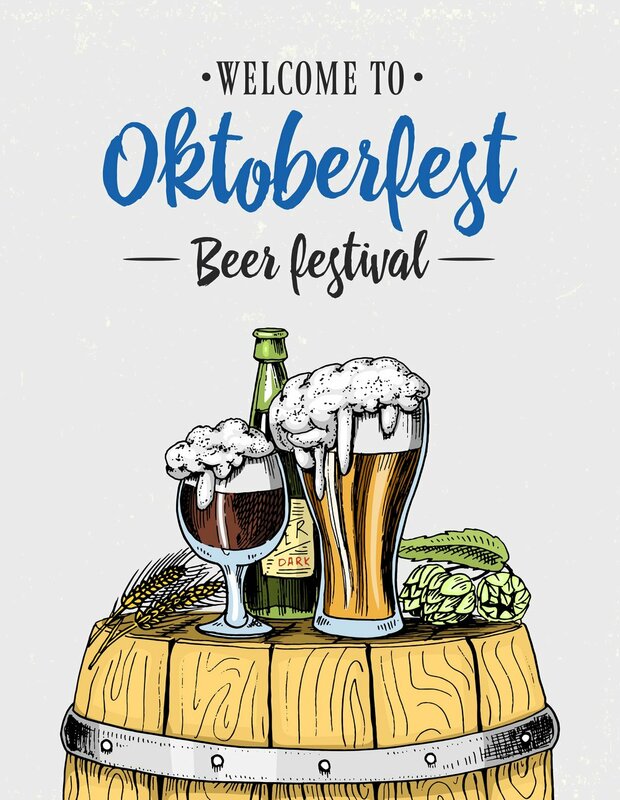 Live Acoustical music, and Traditional Oktoberfest foods onsite. Full Dinner Service is available inside HOB NOB BrewHouse/Taproom & will feature traditional German Foods. El Tapatio and Sunshine Pizza. Taster boards, Growler fills, and pints will all be available! Our chefs will be putting out our small plate appetizers and delicious menu items during the event. Come and bring friends- Add to our Pay it forward Profession Board or be a surprised winner of a free beer! Bring your own Growler or Purchase our Hob Nob Brewery growlers. Hob Nob Brew is Pairing up with Eastside Distillery to create a memorable dining experience! Date night Opportunity or Group fun! We have a Collaboration of Chefs and Bartenders creating a very unique and special night of pairings. For 35.00 you will enjoy an all inclusive Dinner, featuring your choice of Appetizer, Entree and 2 Cocktails created with Eastside spirits of your choice! Joining us, will be Eastside Representative Justina Thoreson.